The importance of a transdisciplinary approach to population health research has never been more important, stressed UCL’s Provost Professor Michael Arthur, as he welcomed attendees at the UCL Populations & Lifelong Health Domain Symposium. Opening the session were two distinct accounts illustrating the vulnerabilities of migrant populations. Professor Sammonds described the natural and anthropogenic hazards facing migrants within two contexts and emphasised the need for “political will to solve the crisis”. He was followed by Professor Abubakar, who challenged the pervasive myths that exist about migrants and the societal implications of this. We then heard from Rachel Burns, an early career researcher, who highlighted the significant mortality advantage in migrants compared to the host population. Presentations from two other early career researchers followed; Dr Jeannie Collins presented her research on the increased risk of AIDS/death in migrant children on antiretroviral therapy, and Jean Stafford highlighted the substantial burden of psychosis in old age, particularly among females and migrant groups. On the 31st October, the UCL MB PhD Students, at the early stages of their careers as academic clinicians, were fortunate to have tea with Professor Patrick Vallance, who delivered the UCL Prize Lecture in Clinical Science later that evening. This lecture series, running annually for over twenty years, is an eminent event for communicating contemporary translational science. Professor Vallance reflected upon his first foray into medical science, recalling his decision to undertake an intercalated BSc during undergraduate medicine, despite being advised that doctors did not need such science degrees. 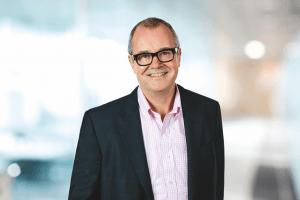 He chose to enter the scientific environment, and now leads research and development for one of the world’s largest pharmaceutical companies, and is a Fellow of both the Royal Society and the Academy of Medical Sciences. Professor Vallance completed his medical degree at St. George’s Medical School in London, close to where he would remain for his clinical training. By 1995, he was recruited to UCL as a Professor of Clinical Pharmacology, and shortly after became Head of the Division of Medicine. He made fundamental discoveries regarding the function of nitric oxide in the human cardiovascular system, and elucidated key principles pertinent to the physiology and pharmacology of blood vessels. Should Animals have Human Rights? 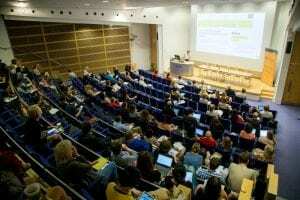 The question of whether animals should be given non-human personhood was the topic of a lecture this week, given by Professor Volker Sommer at UCL’s Darwin Lecture Theatre on Tuesday as part of its ‘Lunch-hour Lecture’ series. As part of the presentation, Professor Sommer showed clips of primates engaged in behaviours that we traditionally consider ‘human’ – including one where a bonobo is shown playing Pac-Man and another where a gorilla is seen carrying a three year old human child who fell into its zoo enclosure to safety. Many people find such ideas strange: humans have an inherent tendency to be ‘speciecists’. We discriminate against other living beings because they do not belong to our own species. The speciecist attitude is similar to other types of discrimination, such as religionism, racism, sexism, or heterosexism. It has been prominently criticised by philosophers Peter Singer and Paola Cavalieri. Non-human personhood and the demands to expand ‘human’ rights to include animals are debated in several contexts, including law, philosophy, and science. As part of the lecture Professor Sommer detailed his involvement in a test case in Austria, where campaigners put forward the argument that Hiasl, an adult chimpanzee who was brought to Europe from a forest in Sierra Leone as an infant, should be granted human status. It was part of a pitch to prevent Hiasl from being transferred to a vivisection laboratory near Vienna. More recently, an orangutan in Argentina called Sandra was granted ‘non-human person rights’ – judges ordered that she should be freed from captivity after spending her entire life there. Professor Sommer’s illustration of the debate formed part of a wider context – what he calls the dawn of a ‘new era of inclusivity’. 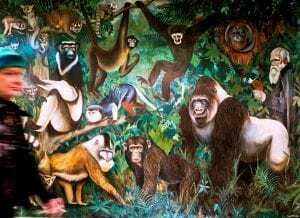 He was adamant to point out that calls to grant rights to non-human great apes should be seen as a ‘door-opener’ to wider demands: there is no logical reason to replace the animal-human boundary with a new one – that of great apes versus other animals. As an avid evolutionary theorist, Professor Sommer was keen to emphasise the importance of breaking down these barriers in the ways that we consider ‘animals’. He reminded us that we are all animals, after all. As I relaxed in my scratch-built sauna in the middle of the West Sussex countryside, I decided there were worse things in life than studying archaeology. It was a week into my first year and I was at ‘Primtech’, a four-day retreat every new undergrad at UCL’s Institute of Archaeology (IoA) goes on to get a hands-on introduction to early technologies (flint knapping, pottery making, bronze casting, etc. ), and to get to know the people they will spend the next three years studying with. I had made the sauna that afternoon with another first-year and a couple of second-years, who came to Primtech as supervisors, out of some sticks, tarpaulin and burnt flint. It was a nice way to wind down after a morning of landscape walking. IoA students need to get used to being outside, because the undergrad course requires them to complete 70 days of fieldwork. What this actually involves varies hugely: I spent six weeks in Greece and Macedonia, examining various museums and archaeological sites; a friend of mine spent a month excavating in Israel. Another spent two weeks in Uganda. The IoA is Britain’s largest and most well-regarded archaeological department: its archaeologists conduct fieldwork all over the globe, on some of the most famous archaeological sites on Earth. A good example of the IoA’s global reach is its work in Rapa Nui, known more colloquially as Easter Island, home to the colossal stone ‘moai’ sculptures. The ‘Rapa Nui Landscapes of Construction Project’, led by Professor Sue Hamilton (Director of the IoA), works with Rapa Nui elders and students to provide resources and training to help them present Rapa Nui’s past, and extended a bursary to bring Rapa Nui archaeology students to the UK to join in the IoA’s field training course. As well as engagement, the Project seeks to develop a new understanding of how the moai fit into the wider landscape of the island. The Project is carrying out an excavation of the Puna Pau quarry, the source of many of the pukao (‘hats’) that some of the moai wear – large, squat cylinders made of a coarse, dark red lava. It is also looking to unify strands of investigation that have thus far remained isolated, such as the ‘ahu’, stone ceremonial platforms upon which the moai once stood, and transport roads. The Project’s central theme is the way construction of the moai unified the island, with the resources, locations and construction elements that went into making the moai linking the different areas of Rapa Nui, from the quarries where they were constructed to the roads that they were transported on and their final destinations. 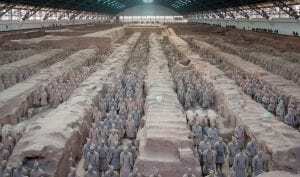 Another example of UCL’s global focus is its work with the Terracotta Army. The IoA is undertaking a research project in collaboration with the Museum of Emperor Qin Shihuang’s Mausoleum to research the Terracotta Army, a group of 2,000 warrior statues crafted over 2,000 years ago as a part of the tomb of Qin Shihuang, the first Emperor of China. The Terracotta Warriors were an undeniable symbol of the unimaginable wealth, military power and artistic achievement of the Qin Empire. Each of the individually crafted warriors was equipped with state-of-the-art bronze weapons, some so well preserved that they would still be lethal today. The assemblage includes over 40,000 bronze arrowheads, as well as swords, lances, crossbow triggers and more. Since 2006, the IoA has been collaborating with the Museum to transfer students and specialists between Britain and China, and to investigate the logistics of technology and labour organisation behind the construction of the Terracotta Army. They have analysed the distribution of the Warriors and their weapons, and have learned a great deal about the way the Qin military was organised. For example, they have discovered a great deal about Qin battle formations: lower-status robed warriors stood on the front lines, followed by armoured soldiers and a smaller number of officers or generals towards the rear. Crossbowmen were placed primarily along the front and flanks of the army, and chariots were placed at the core. The IoA also works closer to home. Undergraduate students can take part in the Thames Discovery Programme, a community archaeology project run by UCL. The Thames Discovery Programme involves IoA archaeologists and students engaging the public about the fascinating archaeology of the River Thames, home to the debris of London’s almost 2,000 year history, from Roman pottery to Tudor jewellery and the remnants of Victorian warships. People are led on surveying walks along the banks of the river. Public lectures are held in local archaeological societies, in community centres and at academic conferences and museums. The project has been featured on television several times, including on a special episode of Time Team. So, if travel, community engagement, the opportunity to be trained in advanced scientific and analytical methods and the chance to build your own sauna in the middle of the English countryside appeal to you, come and check out the IoA’s ‘University Archaeology Day’ on June 22. It’s an event for prospective students, parents and teachers to learn about the many archaeology programmes available in the UK, to hear about some of the latest cutting-edge archaeological research, and to discover the huge range of career opportunities a degree in archaeology can lead to. We’ll have representatives from most of the UK’s top archaeology departments, as well as a range of organisations that work with and employ archaeologists. Want to know more about how you can turn an archaeology degree into a career? Read this article from UCL News.